Malaysia is the kind of place you go to when you don’t want to choose between citylife and natural beauty. While the whole country is packed with features, here’s a list of the top ten beaches you can’t afford to miss! Langkawi: Colourful kayaks lie lazily on shore, basking under the gentle shade of the palm trees. The waves of the azure ocean lap the sandy shores with abandon. The sun shines pleasantly above as tourists relax in one of the many island cruises and work on their tan. 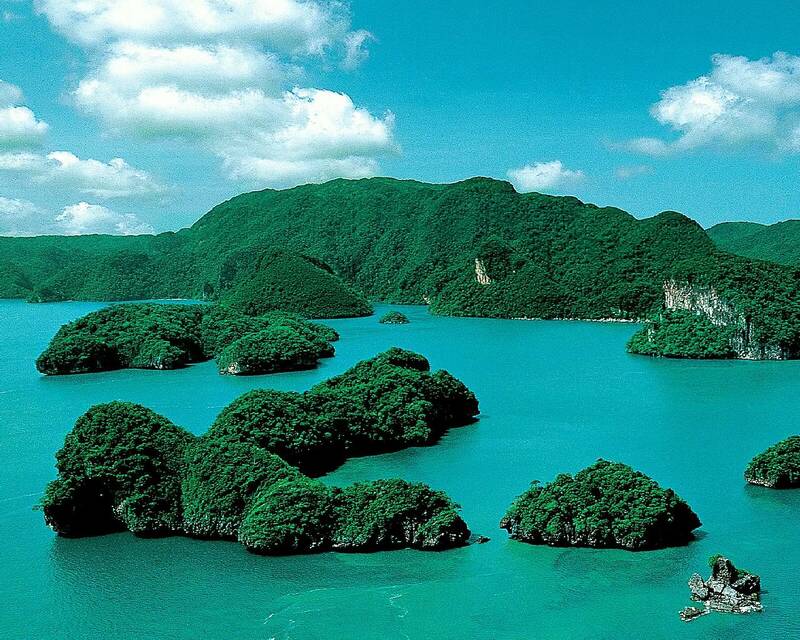 That’s Langkawi for you. Besides the gorgeous beachfront, Langkawi also boasts of world-class infrastructure, top notch facilities and accommodation to suit every budget. Penang: It’s called ‘The Pearl of the Orient’ and Penang wears the sobriquet with much pride. The turquoise waters play with the rays of the sun, looking sparkling to the eye. Couples walk, hand in hand on the shore, the waves licking their feet. The beach gives way to lush greenery. The sound of laughter peppers the air. At night, the place transforms completely losing its easy vibe and donning its festive attire. Batu Ferringhi comes alive with a carnival-like atmosphere. The open air bazaar features hawkers selling their wares, enticing customers with great deals. For a pinch of the quaint are the trishaws that offer you a chance to ride around the destination. Pangkor: Legend has it that Pangkor gets its name from the Thai word Pang Ko meaning ‘beautiful island’. There’s also another legend that it may have been a memorial to Pang Kui, a Chinese adventurer. While the story has two versions, the absolute truth is that Pangkor is perfect for romance. The crystal clear waters of Emerald Bay, the scenic sunset cruises and lush tropical rainforests provide the ideal backdrop to rekindle your passion for each other. If you are looking for adventure, dive at the Pulau Sembilan to find a treasure trove of marine life. Islands of Johor: Put on your flippers, zip up that suit and dive into the emerald waters at the islands of Johor. The place for sports enthusiasts, the islands feature a range of sporting actitives like snorkeling, windsurfing, sailing and kayaking. Want to cook your own dinner? Go squid dishing at Pemenggil and try your hand at getting one of these slippery creatures. If the wet and wild isn’t for you, venture out into the jungle trails leading to unspoilt mangrove swamps. You can’t get enough of this place! Desaru: The powdery sand stretches out before you as the surf makes its way in. Small boats dot the shoreline and gently bob on the waters. Get wings as you learn how to fly an ultra-light aircraft! Race your friends to the finish as you complete laps in your go-kart. Indulge in equestrian sports like horseback riding, practice your aim in archery or explore the place with off-road adventures. Go here for fun! 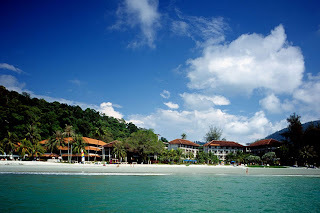 Tioman: It is hailed as one of the best island getaways in the world. Remember the song ‘Bali Hai’ from the old Hollywood musical, South Pacific? This is where it was filmed. If you can imagine yourself frolicking in the sea with gay abandon, singing loudly, you should head to Tioman. The rich and vibrant sea life will impress even seasoned divers. Here, you will find gorgonian sea fans, staghorn corals, bumphead parrotfish and a whole lot more. Want to see all this without getting wet? Hire a glass-bottomed boat. Cherating: This place is famed for two things: Asia’s first Club Med, and the opportunity to see the nocturnal ritual of turtles nesting on the beach. Feel the wind in your hair as you try your hand at windsurfing, the wind conditions are excellent here. Or you could try kite flying. To explore more of Cherating, hop onto a bike and take in the sights and sounds of the quirky local bazaars selling local favourites and souvenirs you can take back home. The best sight though would be a visit to the turtle sanctuary where they lay their eggs during the nesting period. Islands of Terengganu: Soft sands, deep blue waters and mesmerising undersea gardens make Terengganu a must-visit, get-away-from-it-all destination. The sun is partial to these islands, shining all year around giving tourists a chance to work on their colour and tan just the right shade. Luxury is the name of the game here with opulent properties featuring endless pools, beach side accommodation and local cuisine that is delectable. The island of Redang deserves a special mention here. Pulau Sipadan: A diver’s paradise, you will find exotic marine life in a riot of colours off the coast of Pulau Sipadan. You will find some of the lesser known species of marine life here and discerning divers will be impressed with the variety. 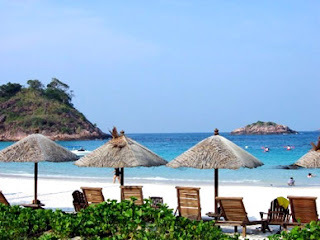 Perhentian islands : Their inaccessibility may be a deterrent but when you get there , the Perhentian islands off the northeast coast of Peninsular Malaysia make it worth your while. And for good reason -- the waters are sparkling and clean. You can simply walk into the water and get snorkeling and still see a diverse array of aquatic life. Fishermen who moonlight as tour guides will also take you out in their small boat for a day trip to swim with sharks and turtles. In the evening, beach bars set up cushions on the sand as wandering fire artists try to impress with their skills.